Thanksgiving, every year, is the first holiday in the season we can celebrate by going skiing. Sometimes there's a huge amount of snow on the mountain, but often there just enough that we all know it is really winter. The atmosphere at the ski resort is usually excitement about the beginning of the season, so it's fun no matter what the conditions are like. Cross-country skiing or snowshoeing require less of a snow base, so if you're picky about your snow condition, this is a great early season alternative. This page contains a single entry by Jan Radosevich published on November 24, 2009 8:31 PM. Day after Thanksgiving to be Luminous was the previous entry in this blog. 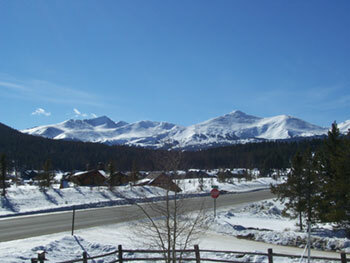 Lighting of Breckenridge is the next entry in this blog.